5 tips for placing electrical outlets, switches, & lighting in your new home. 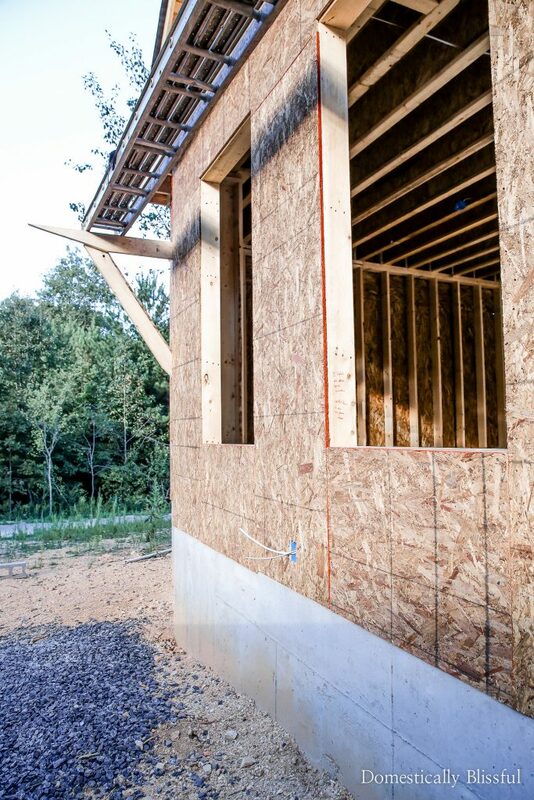 Everything is moving along on our house! This month we had an electrical meeting with our contractor & electrician & about a week later he started wiring our house. We naturally made some adjustments along the way, adding indoor/exterior speakers & adjusting some outlets, but even still they have been moving quickly at wiring our home. They should even be done with wiring our house this week! So I decided to share my excitement through some tips to help you with the electrical stage of your house building project. These 5 tips are pretty simple & hopefully, they will make everything go faster & smoother with the building of your house! Before meeting with your contractor & electrician do your own walkthrough of your house & decide where you want your outlets, light switches, chandeliers, pendant lights, sconce lights, speakers, exterior lights, etc. It is so much easier to talk through your thoughts & ideas with just your spouse so that when you do meet with the electrician you are both on the same page & your meeting will go a lot smoother & quicker. Also, be aware that the electrician may have to make some adjustments depending on the code of your state/county. While doing our walkthrough just the two of us we wrote notes in each room with a red permanent marker so that we could easily remember what & where we wanted things. This made our meeting with the electrician even easier as all of our notes were right there on the wood in bright red. Our electrician made his notes with a black permanent marker so it was easy to distinguish between the two. While doing your walkthrough & planning the electrical be sure to think about the holidays & how you will want to use electricity to decorate. Maybe you will want to connect all of the upper outlets to a light switch so that at Christmas you can turn on/off your Christmas tree & other holiday decors at the switch of a button. Or maybe you love to decorate the exterior of your home so you have extra outlets placed outside of your house. One other thing that we have planned is to have an outlet placed on our floor (once the floors are installed) right where we plan to have our Christmas tree. We plan on placing our Christmas tree in the middle set of the three French doors we have in our living room. I didn’t want to run extension cords, which would be very obvious in front of the other french doors, so we decided to put an outlet right on the floor where our Christmas tree will be! If you are wanting to have a smart home now, or even someday in the future, now is the time to plan for it. Make sure your electrician knows if you want special smart home features, indoor/outdoor speakers, or any other special features. Even if you don’t get the special gadgets right away, at least your home will already be wired for them for whenever you do decide to upgrade the smartness of your home. Once the electrical is in place, before the sheetrock goes up, take pictures or a video in every room of all of the electrical boxes. My father suggested this to us, as it was something they did while building their house, & it is a great way to ensure that they don’t forget to cut through the sheetrock for a forgotten or hidden outlet. 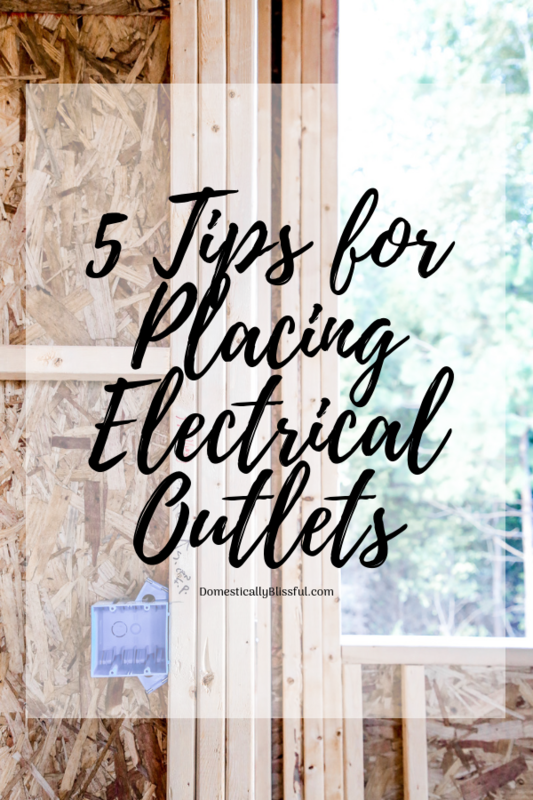 I hope these 5 electrical tips help you while building your dream home! 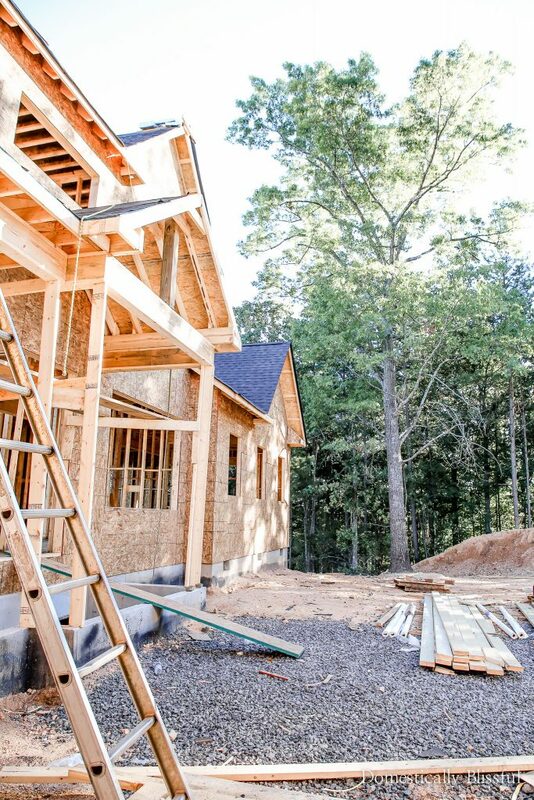 If you ever have any questions or house building tips you want to share feel free to comment below. 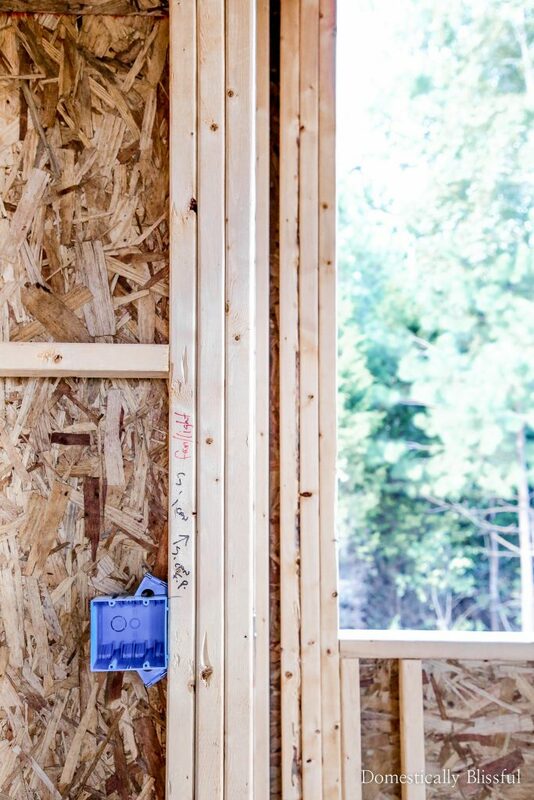 And if you enjoyed this house building tips post, be sure to subscribe to my newsletter below so that you don’t miss out on another blissful post! What electrical tips do you have for a new home? Feel free to comment below, email me, or tweet me on Twitter! so that by the power of the Holy Spirit you may abound in hope.